From my practice to yours. Workshops, retreats, teacher trainings, and more. 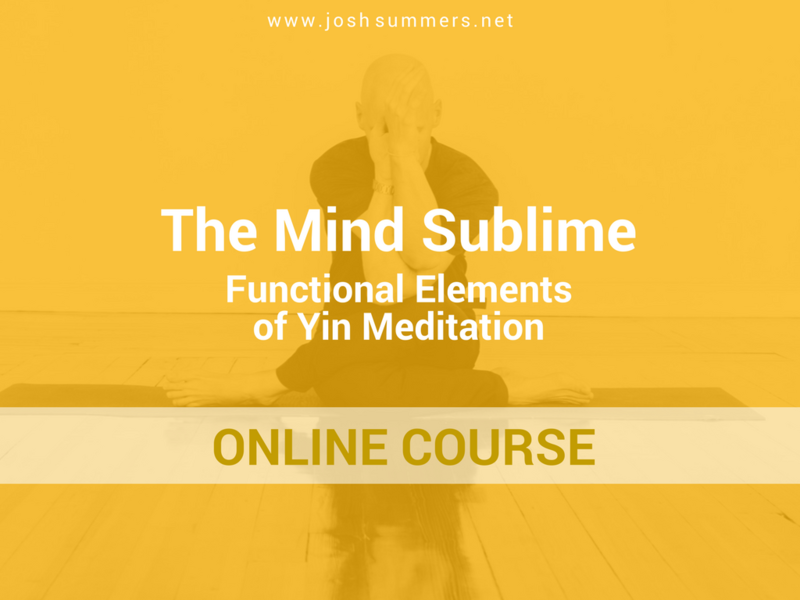 This course is the online component to the Mindfulness Module offered by the Summers School of Yin Yoga. Important: You must take the online course and complete the essay before attending the live teacher training module. Please note that this course may be taken standalone as well – even if you are not enrolled in the Summers School of Yin Yoga. It is designed to be a self-contained introductory course for anyone to take. This online course is one part of the teacher training you’ll be experiencing. Completing this course will prepare you to arrive at the live training with a solid foundation of the theory and practice covered in each module, allowing us to start at a higher level in our time together in the intensive. Upon registration, you’ll receive a link that grants you 90-day free access to the online course (a $125 value). Please note: You will need to complete the online course, including a short essay, before attending the live teacher training module. Estimated time to complete the online course: Approximately 10 hrs. Yes, you can take this course too! It’s designed to function as an essential introduction to the concepts and practice of Yin Meditation. It can be taken on its own, giving you a low-risk opportunity to see if this module (or the school) is the right fit for you. Below is a complete list of all the course lessons. Each lesson contains either an audio lecture or video presentation – and throughout the course, you’ll find worksheets and other downloads. Required text: Unlearning Meditation by Jason Siff. It’s not necessary to read this before the training, but this will serve as your ongoing reference book. Suggested text: Seeking the Heart of Wisdom by Jack Kornfield and Joseph Goldstein. The price of the course is: $125.00. Or get free access for 90 days if you enroll in any 50-hr Yin Yoga Teacher Training Mindfulness Module offered by the Summers School of Yin Yoga. You will receive an exclusive access code via email after signing up (please allow up to a week for processing). © 2012–2019 Josh Summers. All rights reserved.